The lower chamber responded to Lt. Gov. Dan Patrick's threats of a special session by moving key legislation — but omitting provisions that he wanted included. 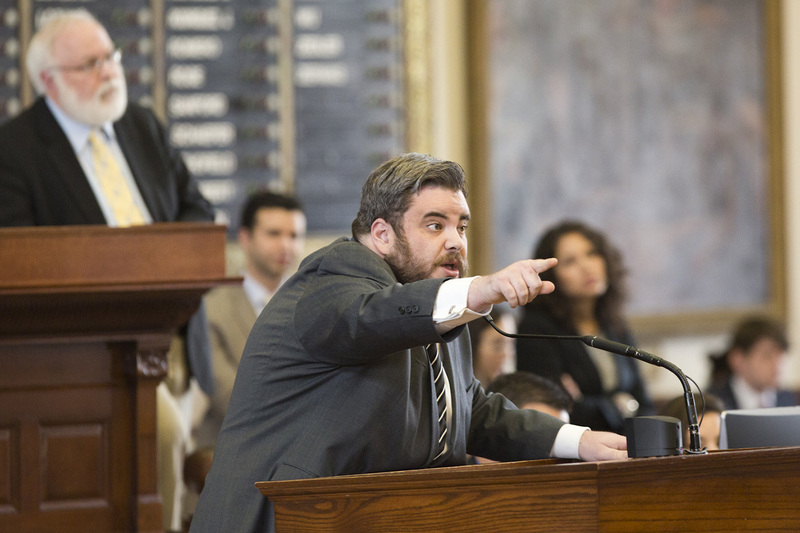 The Texas House on Saturday responded to Lt. Gov. Patrick's threat of forcing a special session by unanimously approving property tax legislation. But the lower chamber excluded the Senate's key provisions requiring voter approval of some tax rates — something Patrick wanted included. Property tax changes and the so-called bathroom bill were the two items Patrick this week said needed to move by May 29 to prevent a special session. But it wasn't immediately clear Saturday afternoon if the lieutenant governor would accept a version of the property tax legislation that excluded the election provision many in the upper chamber considered vital. Conservative House members also wanted such language, but were unsuccessful in getting it added. The property tax changes, which mainly pertain to notification requirements and how appraisal boards are set up, had been part of Senate Bill 2. State Rep. Dennis Bonnen, R-Angleton, has been trying to get the property tax bill through a legislative obstacle course — at one point sending it back to his House Ways & Means Committee to revive it. But he got a chance to add it to another bill on Saturday and pounced, offering it as an amendment to Senate Bill 669 — a bill aimed at property tax appraisals. Under his proposal, local governments would have to announce a “no-new-revenue” tax rate each year and compare it to the rate they’re actually proposing. Taxpayers would get a copy of that and could intervene before the rates are finally set. “It will end the practice that happens on occasion where a mayor or city council says, ‘We lowered your tax rate, but we increased our revenue’,” said Bonnen, R-Angleton. “If you don’t like what’s happening on this rate, it tells you the date of the public hearing on that tax rate and it tells you the place,” he added. 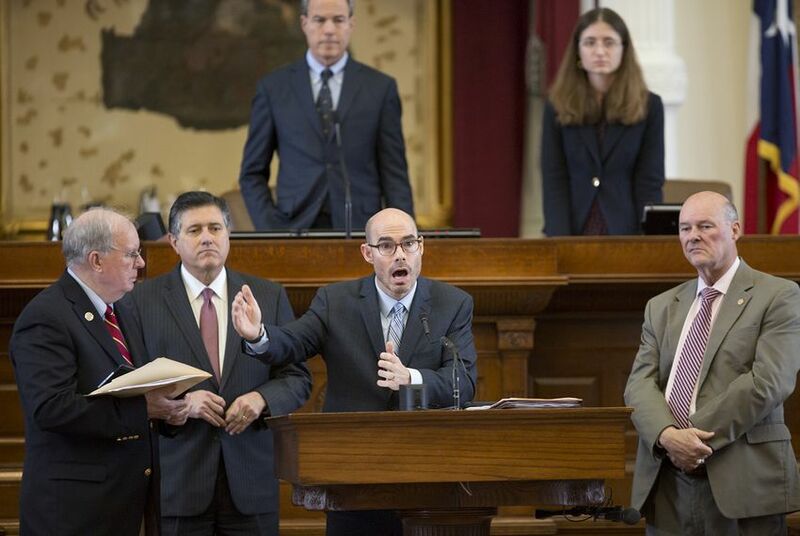 Bonnen said his bill provides an answer for taxpayers who have persistent problems figuring out who raised their property tax bills — by forcing local governments to announce what they’re doing and revealing it before they do it. “We’re holding everyone accountable,” he said. His committee stripped from the Senate version of the bill provisions that would require cities and counties to get voter approval for their property tax rates if revenues exceed 5 percent compared to what the entities collected the year before. The House's version leaves that "rollback" threshold at 8 percent — and only triggers an election if constituents successfully petition for a vote. State Rep. Jonathan Stickland, R-Bedford, asked Bonnen why his proposal doesn’t include automatic rollback elections. He said he would vote for Bonnen’s amendment, but wanted to know why it doesn’t go further. And he told the House that the Senate bill was the better option. He said he thought the automatic rollback election was essential to property tax reform. Bonnen questioned that, suggesting it would give local governments the ability to raise revenues by 4.99 percent every year without giving voters a chance to overturn them. He said rollback elections are “significant,” but said giving taxpayers better information about what their governments are doing with taxes is more important — and potentially more empowering. “I don’t want my property taxes to go up 5 percent every year and wait for someone to tap me on the shoulder at that point” to get his attention, Bonnen said. Patrick's office and Gov. Greg Abbott's office did not immediately respond to a request for comment Saturday.